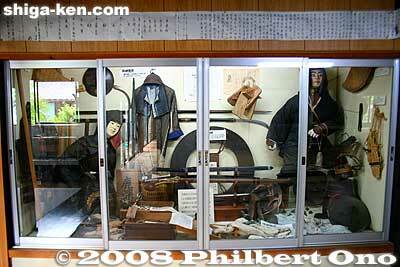 Display case showing ninja costumes. Real ninja mainly wore one of seven disguises instead of the stereotypical black costume. They could be dressed as a priest, merchant, jester, etc.